I’m born in Eskisehir. 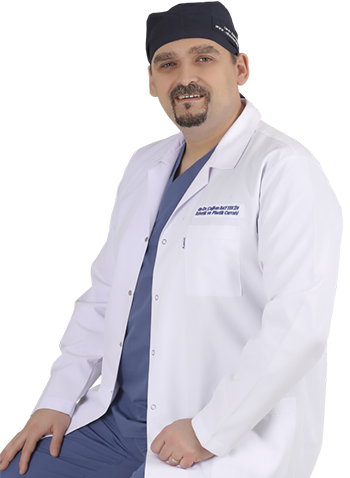 After graduating from Hacettepe University Faculty of Medicine, I completed my Specialty of Plastic, Reconstructive and Aesthetic Surgery at Izmir Dokuz Eylul University, Department of Plastic and Reconstructive Surgery. Breasts are structures that complement the physique in woman’s body appearance. Breast volume is important for the measurements of shoulder width, breast circumference, waist and hip circumference. In the aesthetic breast lift operation, the breast tissue in the drooping state is reshaped and excess skin is removed. As people get older, the skin on their face becomes droopy, wrinkled, and there are various stains and irregularities on the skin due to the effects of years, solar rays, daily stresses and other factors (smoking, drinking and malnutrition). Birth, weight loss or time itself deform your body’s tightness and elegant body lines sneakily. If you think rhinoplasty, it is the most preferable surgery to reshape the nose in all methods. It is possible to give a hip that is smaller, bigger, droopy or disproportionate a more esthetic look with several procedures. Giving birth, lost weight or even the time itself corrupt our bodies’ shape and firmness sneakily. The term of body fit includes the applications that help to obtain a younger look on the arms, hips, stomach and belly area. 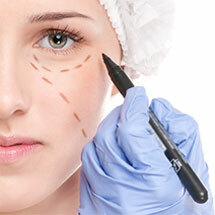 The operation that have a proven effect on bags under the eyes, drooping on the eyelid and wrinkles is used to remove warts, moles, stains and scars around the eye. The sunlight effect is the most important effect besides others on aging the skin of face. Sunbathing in long time periods and not using protective lotions increase the destruction caused by sunlight on face skin. The breasts complete the female body look. Breast volume has an important place İn the measurements of shoulder width, waist and bel circumference. According to a research by Brian Wansink, a food psychologist in Cornell University; people using large plate and bowl eat unconsciously more than they need. The research has also demonstrated that people eating popcorn from large-sized box eat 45% more than those eating from small-sized one. Suggestion: Eat from small plates. Use large dishes for the salad and avoid eating food from the package. According to specialists, it is not a good idea to eat at night for one who wants to lost weight. In a new experiment on animals, not only what you ate, but also when you ate is important, too. Suggestion: Do we give up on diet? Get used to the thought of the kitchen is closed all night long and brush your teeth after you ate. If you are hungry, wait for ten minutes. If you are still hungry, eat small amounts of some low-calorie meals like cheese or fruits. One of the common mistake of eating habits is snacks during the day. They usually have high and unhealthy calories. According to a research done in North Caroline University, it is not a habit that just adults have. Children have the same habit which is eating unhealthy snacks such as chips, candies and drinks with acids. Suggestion: Keep some healthy snacks around you like carrots, fruits, yogurt etc. Do not keep around the food that you can’t resist to eat like french fries or cookies. Breakfast is the most important meal of the day. Unfortunately, most people neglect the breakfast by making the daily responsibilities priorities. When you skip a meal, your metabolism gets low. The breakfast supply you the big amount of energy that you daily need and if you skip it, you eat more in later meals. In a research done on Chinese children, it is seen that the children who don’t have breakfast gain weight in comparison with the children who have. Suggestion: Start the day with having a healthy breakfast. If you don’t, prefer healthy foods you can find easily like fruits, yogurt or milky drinks. You have a bad day at work and when you arrive home, you open the fridge and eat. This is not a good strategy for a healthy diet. Researches show that positive or negative feelings direct people to eat more and interevent them to lost weight. Suggestion: Find something else to stress out. Duygu Bayır says that if you have a stressful day at work, go on a walk or call someone who understands you instead of eating when you arrive home. This gives you a relief and decrease the stress a little bit. Choose and activity that keeps you far from the kitchen. When you eat fast, your brain and your stomach can’t find the necessary time to connect. Our brain sends signals after 15-20 minutes we start eating. If you finish your meal in ten minutes, it is inevitable to eat more than you need. In Japan, it is found out that there is a certain connection between eating fast and being fat. Suggestion: To slow down your eating speed, take small bites and put your fork on table and make sure that chew your bite well. Besides, drinking water slow you down and make you feel full. Does getting enough sleep effect our speed of lost weight? Yes. According to researches, the ones who have sleep five or less hours in a day tend to gain weight in comparison with the ones who have sleep seven or more hours in a day. Suggestion: Make your own routine. Make sure to wake up and sleep down at the same time every day including weekends. Keep your bedroom in the dark and comfortable. Before bedtime, avoid form computer and television. If you need an extra motivation, kill the lights before you go to bed. You do not eat only while watching television, in front of the computer or playing video games. Researches done on young people show that they eat more than they eat rest of the day while only one hour of playing video games. Suggestion: While spending time in front of computer, take quick breaks. Stand up in every 15-30 minutes and take a walk between the rooms. Eating unhealthy snacks causes your bell to get thick. However, it can get more than we thought. Researches done on animals show that snacks which have high sugar or fat cause to addiction. Another research shows that eating healthy food makes people happy. Suggestion: Trying to get away from these snacks, makes you want to eat them more. The key for lost weight is to know what you want more and prefer these snacks not every time, but you need them the most.